On his Fox show May 19th, Glenn Beck made the argument that President Obama has "betrayed our last strong ally," Israel, and made a baffling but predictable case that "you are not like Obama" because the President is against colonialism. He also absurdly predicted that Obama's policy on Israel will end the Western way of life. Three video clips from Beck's show on Fox below were embedded here from the liberal media watchdogs, Media Matters for America, who keeps an eye on conservative media. An alternative, more realistic, non-propaganda-oriented and alternative narrative to Beck's reactionary criticism to the President's speech on Israel will be provided by a clip from The Last Word with Lawrence O'Donnell, a quote from Joshua Holland's piece on the speech and a clip from Hardball on the subject from the 20th. Since Beck creates a false narrative for propaganda purposes, it is of value to provide an accurate narrative. From "Beck On Obama's Israel Speech," via Media Matters. Lawrence O'Donnell covered the President's speech and offered a different, more rational and centrist discussion. In his second major address about America's relationship with the “Muslim world,” Barack Obama continued a course correction that's been woefully slow for his base at home and much of his overseas audience, yet has been frighteningly fast for some. Obama tried to thread a narrow needle. He sought to reassure the citizens of the Middle East and North Africa that the U.S. would support their “Arab Spring,” defusing charges that the administration had been slow to support protesters in Tunisia, Egypt and elsewhere. At the same time, he didn't once mention Saudi Arabia and gave short shrift to Bahrain – signaling to our traditional allies that U.S. policy wouldn't change too dramatically or too rapidly. He tried to assure Israel – and skeptics within the American Jewish community – that his administration would continue to support the Jewish state, even while renewing his calls for a negotiated solution to its decades-long conflict with the Palestinians. He promised greater efforts to spur regional growth. The resulting speech was more check-list than sweeping narrative – he covered all his bases. Throughout, one could sense a contest between the administration's idealism and its realism. “For decades,” he said, “the United States has pursued a set of core interests in the region: countering terrorism and stopping the spread of nuclear weapons; securing the free flow of commerce, and safe-guarding the security of the region; standing up for Israel’s security and pursuing Arab-Israeli peace.” He pledged to continue those policies. From "You Are Not Like Obama" via Media Matters. Beck's assertion that his viewers are not like Obama because of some perceived anti-colonialism is absurd and probably born of his sheer ignorance of American history. Americans fought a War of Independence against Great Britain in order to not be a British colony. American revolutionaries were anti-colonial! If Beck were half the "historian" that he pretends to be, he would never made such a bogus claim against the President, but his fraudulent claim here is even more obvious. After World War II, the United States led the effort to decolonize Africa, the Middle East and Asia in order to give American transnational corporations access to those markets. Again, Beck is not aware of fairly recent, anti-colonial positions of the United States; or, if he is, he choose to ignore this history in order to deceitfully make President Obama "other," different from us. Glenn Beck sells himself to his tea party and reactionary followers as a "historian," but if there is propaganda against the President to be made, the facts of history are ignored or changed. Beck makes up his own reality no matter what the facts. In this clip, remember, there is not one politician anywhere on the globe who has honor. Not a tea party Republican, not the Prime Minister of Israel, not President Truman, whom Beck gives kudos to seconds later, not one. Beck fails as a historian, fails as an observer of current events and does remarkably well as an ignorant genius of reactionary, yellow propaganda. Beck also continues to tell his lie about the bust of Churchill that he has previously told. Dishonesty, not history, is Glenn Beck's forte. From "Obama's Policy on Israel Ends with 'The Destruction of Israel' and the 'Western Way of Life'" via Media Matters. Beck combines fear-mongering, false prophesy and misinformation here in order to sell the idea that Obama's plan is radical, outside of mainstream American thinking and dangerous. Beck doesn't mention the fact that Israel has enough nuclear weapons to fend off attacks from Iran, another lie of omission. If Israel is a "keystone" of the West, then the West is quite secure for the foreseeable future no matter what compromise is hammered out in a negotiated potential peace agreement, something that is unlikely anytime soon. The last word on this subject will be provided on a clip from Hardball with Chris Matthews where the President's ideas and White House meeting with Israeli Prime Minister Netanyahu were discussed in a non-propagandistic manner among the guest host, Michael Smerconish, Politico reporter, Jonathan Martin, and an MSNBC analyst, Chris Cillizza. "It's the messenger, not the message." That is the crux of Beck's run on Fox: yellow propaganda attacking anything and everything Barack Obama. 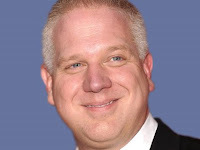 This is why Beck was hired by Fox and why he was not fired by them long ago for his lies, smears, ignorant commentary, fear-mongering, hate-mongering, vitriolic divisiveness and bizarre conspiracy theories. President Obama arrogantly acts as if he can force the Israelis to return to the 1967 lines. Do you not understand that in armed conflicts to the Victor go the spoils? Where is Presidents Obama's same arrogance when he asked Vietnam to divide in to North Vietnam and South Vietnam again, as they merged in 1975? Where is his arrogance in announcing that the United States will be returning California, Texas, New Mexico, and Arizona to Mexico, as they were taken as part of a war? Since when does any other State have a right to tell another State how or how not to defend its people? Where does our Constitution allow such arrogance? Where does International law allow such arrogance? Even the Washington Post calls it a major shift in foreign policy . You continue to bring up the Churchill Bust lie. Yet is it really a lie? The British Embassy where it came from did not request the busts return, they even offered to let the President keep the bust for another four years according to the UK Telegraph . Even the UK's London Times quotes the Embassy as saying, "“We have made it clear that we would be pleased to extend the loan should Mr. Obama so wish" . Even HuffPo  followed the story from Newsweek . Your source MMoA conveniently leaves out the fact that the offer was made to extend the loan for four more years. No Todd, once again you make reality what you think it is, what Beck tells you it is. Beck is a liar. The 1967 lines are starting points for negotiations that would be adjusted to account for realities on the ground. Obama, as President Carter has pointed out, is just saying what many Presidents have believed. The issue about the bust in NOT what Beck keeps falsely making it out to be. Why don't you even bother reading what you cite: "A bust of Abraham Lincoln—Obama's historical hero—now sits in its place. A White House spokesperson says the Churchill bust was removed before Obama's inauguration as part of the usual changeover operations, adding that every president puts his own stamp on the Oval Office." You, as a gullible Beckerhead, want to believe that nonsense that Beck spouts, so you do. It's still nonsense Todd. You embarrass yourself by supporting the liar, hypocrite, fraud, propagandist and cult of personality. He has a powerful hold over stupid people's minds.